This month, we’re honored to spotlight Challenge Aspen — a nonprofit that provides year-round recreational, cultural, and educational activities for individuals with physical and cognitive disabilities. We talked to them recently and are excited to share their story with you! Challenge Aspen: Making possibilities for people with disabilities. Launched in 1995, Challenge Aspen provides opportunities for individuals with physical and cognitive disabilities and their families. In 2005, they recognized the need for specialized programming to serve the increasing number of newly injured soldiers returning from war, and created a new division called CAMO (Challenge Aspen Military Opportunities). CAMO offers 20 week-long annual retreats for veterans and their families, all at no cost to the veteran. That includes travel, lodging, and meals! Since its launch, Challenge Aspen has provided 81,000 participant days of recreation, averaging more than 4,000 days of recreation each year! 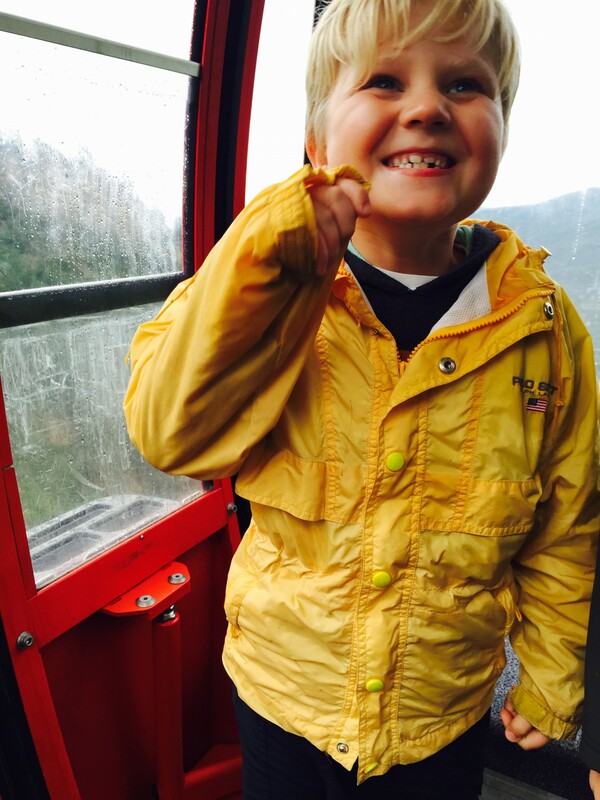 Challenge Aspen serves the local community, but is also a resource for vacationing families. Located in a ski destination, they are able to provide specially trained skiing pros to accompany individuals with disabilities on the slopes. Their CAMO program provides free adaptive therapeutic recreation and wellness experiences for military personnel diagnosed with cognitive and/or physical disabilities. Since the program’s launch with 20 veterans in 2005, CAMO has expanded to several retreats throughout the year — serving nearly 200 injured military personnel over the past few years. 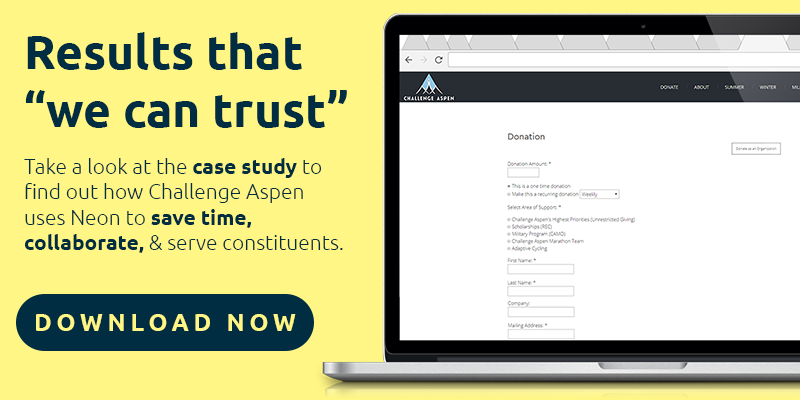 As a small team who have made 3 database transitions in 6 years, Challenge Aspen got a central location for their data after switching to Neon. Their previous database system was inaccessible to staff and data remained siloed within individual departments. 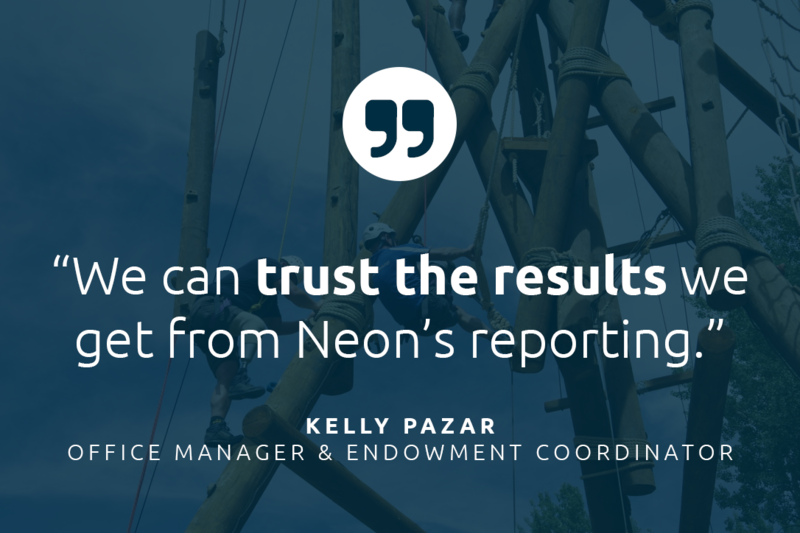 Since they were able to implement Neon, Challenge Aspen has a single place to work as a team, giving them more time to focus on their participants, which is at the heart of their mission. Their transition to Neon included 14,000 records, which were cleaned up. Old data was purged. Now, they are easily able to pull reports on just about any field, which they say is the biggest improvement over their old system. Challenge Aspen recently ran their 14th Annual Gala and Golf Classic with Neon’s events management software, which was completely sold out. The event registrations have been a great feature of Neon for them. They used to manually track registrations, those who chose to golf, and the names of all of their guests. Now they have created the registration form in Neon and all of this information is captured during the registration process. Challenge Aspen is excited to start using Neon’s peer-to-peer fundraising for their 2017 Marathon fundraiser in Iceland. There will be 12 runners, each with their own fundraising page – committed to raising $3,950 each. When Challenge Aspen transitioned to Neon in 2016, they developed a list of 40 priorities in a new database. Neon was able to meet 37 of those 40 criteria, with the remaining criteria met through Neon’s partner integrations. Right now, Challenge Aspen is taking donations for their scholarships, CAMO program and their general operating expenses. If you are nearby, you can also sign up to volunteer or sign up to join one of their programs.